23.7 gal. Parking Assistance 20.6 gal. There are a handful of executive-class luxury sedans that offer the highest levels of prestige, performance and features. Two top models are the 2018 Porsche Panamera and the BMW 7 Series. Each offers incredible luxury and premium materials. We advise you test-drive both, because we’re confident you’ll choose the Porsche due to its superior performance and style. Panamera engines are available in two hybrid and three gasoline versions. The most powerful engine is a 4.0-liter twin-turbo V8 coupled to an electric motor, making 680 horsepower and 626 lb-ft of torque. It mates to a PDK dual-clutch 8-speed automatic transmission that drives the rear wheels or all four. The BMW 7 Series offers four engines, the top one being a 6.6-liter turbo V12 turning out 601 horsepower and 590 lb-ft of torque, linked to an 8-speed automatic transmission. Not only is the Porsche top engine more powerful than BMW’s, it’s also much more fuel efficient, returning 49 MPGe combined. The 7 Series top audio system is quite good, but the Panamera unit is even better. The Porsche top audio is a 1,455-watt, 21-speaker Burmester 3D High-End Surround Sound-System, a rolling concert hall with a three-dimensional soundstage that surrounds occupants with distortion-free performance. This is the same technology used in high-end Hollywood movie productions, and is considered by many the very best automobile audio available anywhere. The BMW top unit is a Bowers & Wilkens Diamond Audio with 1,400 watts and 16 speakers. BMW is famous for its handling and the 7 Series provides good steering feel with three drive modes. However, handling is a strong point of Porsche vehicles, and Panamera is no exception. It provides 4D Chassis Control that automatically synchronizes the car’s chassis and suspension systems to account for driving dynamics in all three spatial dimensions. The result is optimal ride and handling. In addition, Panamera benefits from Porsche Stability Management System, adaptive air suspension, and torque vectoring technology. With the Sport Package, you also get launch control and rear-wheel steering. The result is a car with amazingly precise handling and steering, while delivering a supremely comfortable ride in all conditions. 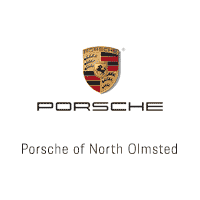 We invite you to visit our Porsche dealership for a test drive of the 2018 Panamera. This car is extremely impressive, as is our attentive customer service, so stop by today!